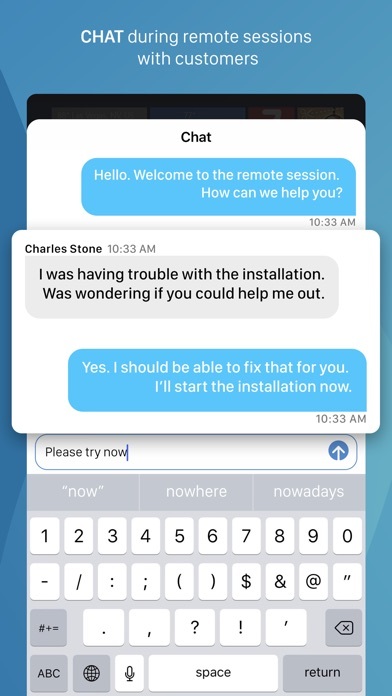 Zoho Assist enables you to connect and control a remote computer as if it's right in front of you. Let the computer run on any OS, be part of any network - internal or external and remain behind either a proxy or a firewall. You don't need to worry. Access it quickly, without any hassles and troubleshoot on the go. Here are some noteworthy features: - Start a support session through your iPhone or iPad - Access unattended computers - Navigate between multiple monitors - Simple and intuitive gesture controls - Guide customers via the in-app live chat - Perform reboot, safe reboot and ctrl-alt-del on remote windows computers - SSL, 128-bit Advanced Encryption - Touchpad/Trackpad: Switch between touchpad and trackpad. - Wake on LAN: Power on the system remotely when connected to the LAN. 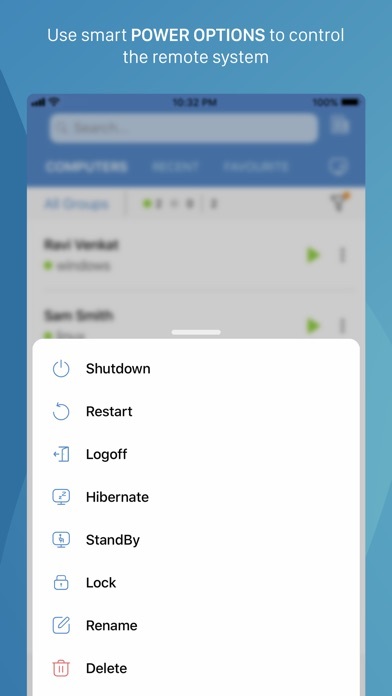 - Power options: With unattended access, use power options such as restart, shutdown, etc. 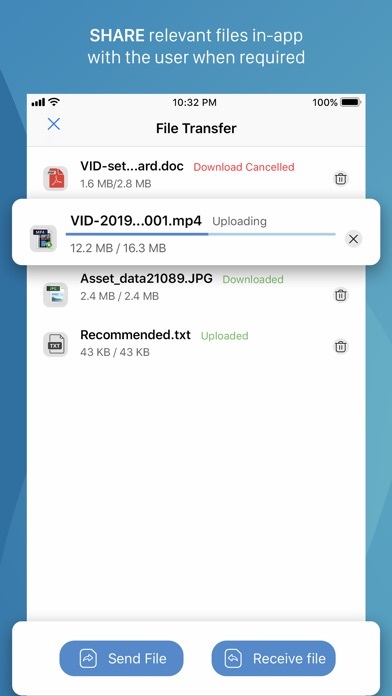 without connecting to the system. - Deployment options: Invite customers to install and grant access to their system. 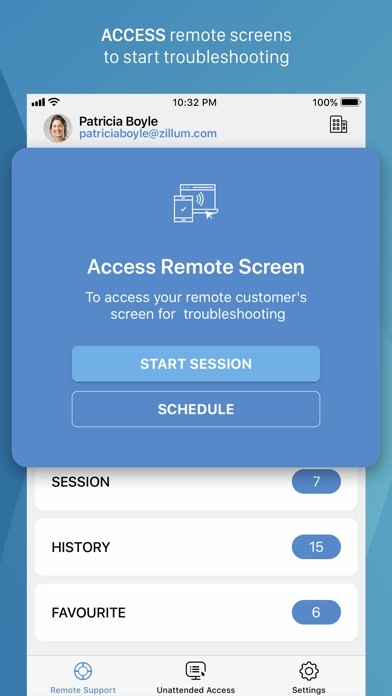 - Tools options: Carry out administrative tasks in-app after gaining access to the remote system. 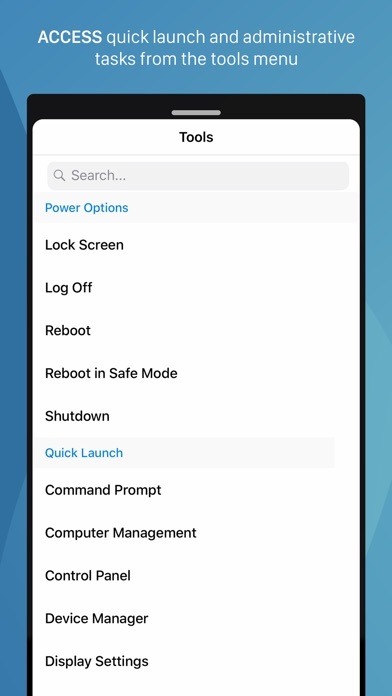 The quick launch menu lets you access computer applications of the remote system faster. 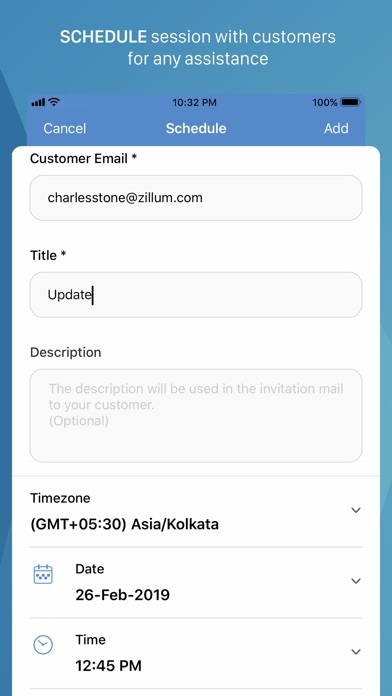 - Swap screen: Swap roles with your customer and let them gain access and insights from your system. - In addition, schedule sessions, view history, and add your favorite contacts. Take it for a spin and let us know what you think! I’m part of a corporate acct, so maybe that’s why I don’t have the issues others are, i.e. we paid. Works good for me. 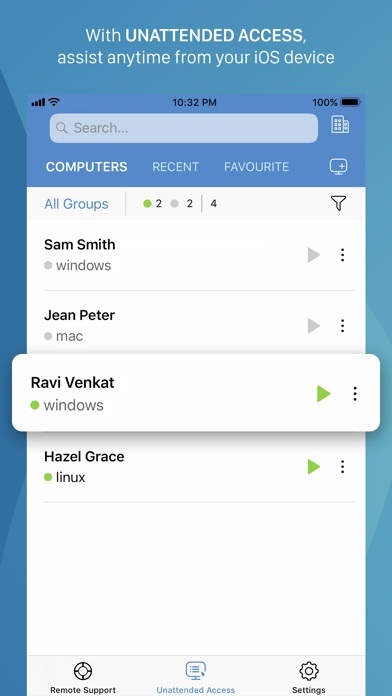 App has basic remote features. I don't expect much as i am using the free version but hope they step it up for people who have a paying subscription. 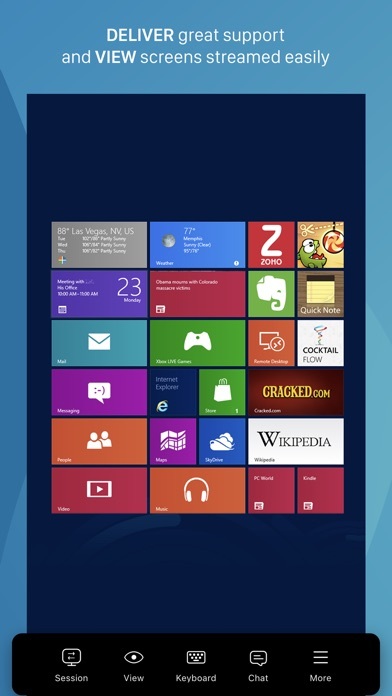 - you can shrink the command bar above the screen by tapping on the “O” button. - i would like to have the cursor move in a different way. At the moment your finger is the cursor but i want to be able to control the cursor with my finger as if it was a mouse so i can see exactly what i am clicking on. (Review Take control app from solar winds for an idea of what i am talking about.) I believe the app is moving In the right direction. The zoho icon needs to be moveable. Also the cursor is not really usable. Check out how teamviewer does it and that’s what we need. Still not working, did you give up? I do know my email address and password.